Koerklasse 2 (Kkl 2) Suitable for breeding. Dog may have a structural or protection work fault which could be compensated for by bloodlines or working qualities. May be resurveyed and classified at a later date. (*) This symbol before a dog’s name means it has been surveyed and approved for breeding. LG Landesgruppen (Regional) Show. 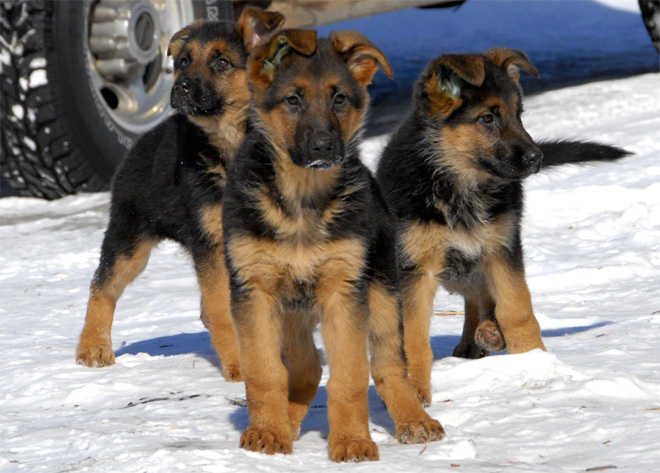 There are approximately 1500 German Shepherd Dog clubs in Germany and these are under the juristdiction of the 15 Landesgruppen clubs. The LG shows are larger than the local shows and the judging and rating requirements are stricter. Landesgruppen Sieger and Siergerin titles are awarded. 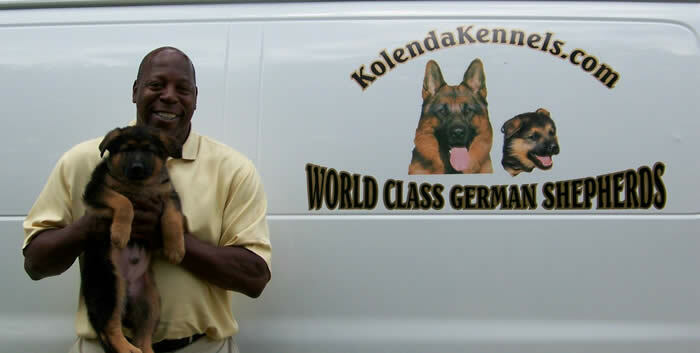 SchH/IPO (Schutzhund) For dogs who have passed the examinations for obedience protection, and tracking. The titles1, 2, and 3 denote how advanced the training tests were. 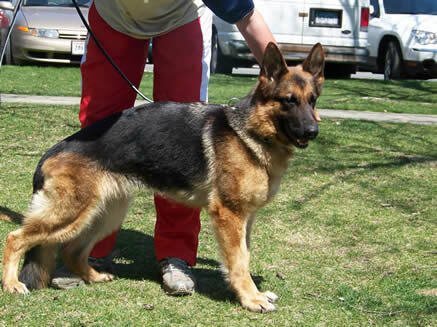 Dog must have at least a SchH/IPO1 to be Breed Surveyed. AD (Ausdauerpruefung) The dogs passed an endurance test by gaiting approximately six miles per hour for about nine miles with a ten minute rest halfway, and a simple Obedience Test at the end. A requirement for the Breed Survey. 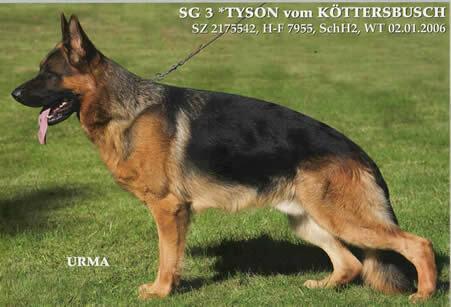 Uran’s Grandson VA Tyson vom Kottersbusch SchH3 Kkl 1a World Sieger Show Germany 2008. Vinnie Johnson – Detroit Pistons.